Tuners, unite! Subaru just introduced an all-new Subaru WRX, and all indications are that it's a really sweet ride. It's always beeen a stealth fighter; not especially showy, all the better to scare the living daylights out of competitors. But this year --2011--is different. It's still scary, to be sure, but now, it looks like a dead ringer for its potent sibling, the WRX STi now-- a good thing if you're wanting to look like you've spent big bucks required to buy the STi. It now uses the STi body, and has alot of detail that will prompt many people to think that they are looking at an STi. The aggressive body style changes for WRX include new front & rear bumpers, wide front fenders and quarter panels, and a WRX logo side fender badge. The sedan adds a rear chrome satin finish and quad tailpipe outlets. The WRX receives new gunmetal gray alloy wheels paired with wider summer-performance tires. Additionally, all WRX models now have six upgraded speakers and come with steering wheel control switches for audio and Bluetooth functions. The Subaru Impreza WRX Premium starts at $27,995 (both 4- and 5-door) and adds the All-Weather Package, power moonroof, and fog lights. The sedan also includes a standard rear trunk spoiler. The Subaru Impreza WRX Limited is available from $28,995 (both 4- and 5-door) and features HID headlights and leather-trimmed upholstery. A GPS touch-screen Navigation system is available on Premium and Limited trim levels and includes a 7" touch-screen and standard Sirius satellite radio. The WRX STi is still kicking, of course--kicking behind everywhere it's seenwithin exhaust pipe's length of its competitors. For 2011, the WRX STI is powered by a 2.5 liter, turbocharged and intercooled Subaru Boxer® engine pumping out 305 horsepower. To further improve its performance, the 2011MY WRX STI has a retuned suspension that includes improved suspension bushings, larger front/rear stabilizer bars, and stiffer front/rear coil springs that provide tighter handling, less body roll and improved steering feel. A new trim level, the Subaru Impreza WRX STI Limited 4-door, is added with a starting price of $37,345 and includes leather-trimmed upholstery, 18-inch BBS alloy wheels, power moonroof and fog lights. The Subaru Impreza WRX STI 5-door starts at $35,995, and includes 18-inch BBS alloy wheels. All WRX STI models are available with optional GPS Touch-Screen Navigation with a 7" LCD touch-screen for $1,800. Additionally, all WRX and WRX STI models also receive a new mesh-type grill along with an upgraded audio system that includes standard Bluetooth hands-free calling and audio streaming, iPod control capability, an auxiliary input jack, USB port, and XM/Sirius capability with a roof mounted antenna. 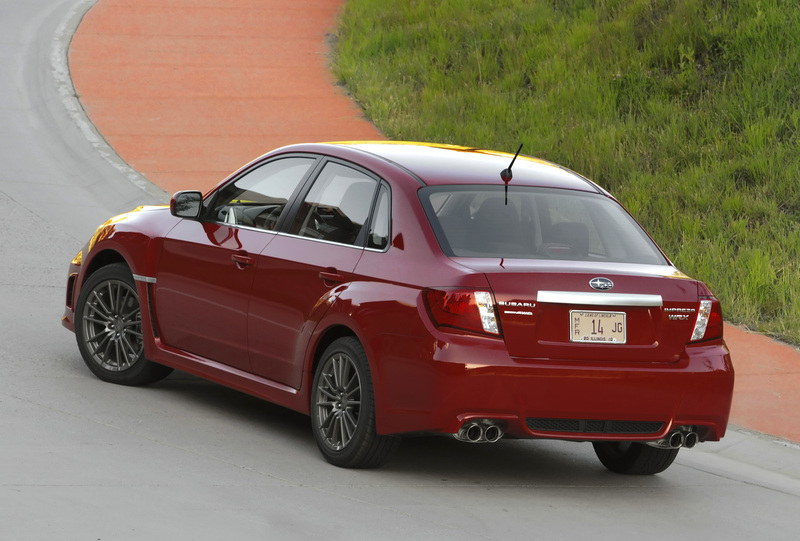 The 2011 WRX starts at $25,495 for both the 4-door and 5-door models. 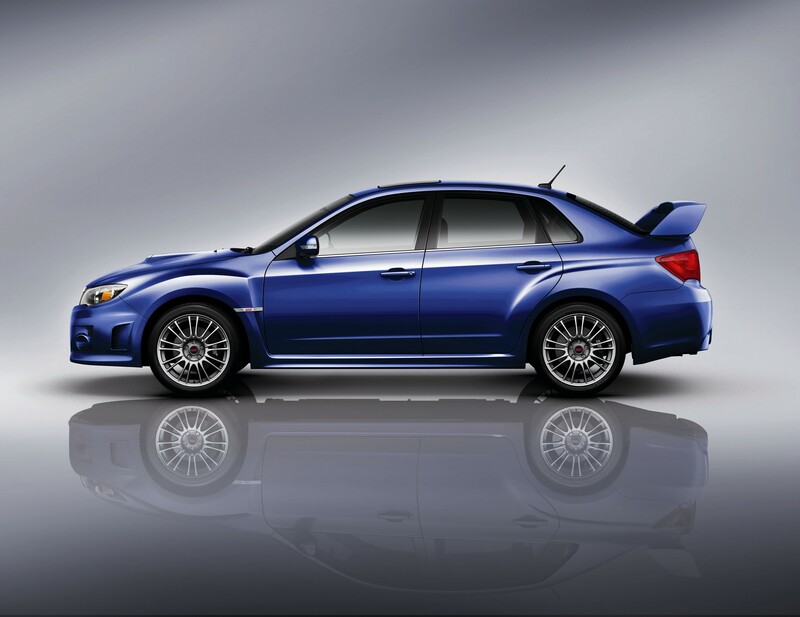 The 2011 WRX STI 4-door is $1,000 less than the starting price of the 2010 5-door (non-Special Edition) STI at $33,995. Subaru fans know that both Legacy and Outback received dramatic changes in 2010, so this is a relatively quiet year for both of these models, which were both quite popular at a time when auto sales in general were lagging. Both models will have equipment upgrades like manual-folding exterior mirrors. Also, models equipped with harman/kardon audio (available on Premium models and standard on Limited models) now feature XM® Satellite Radio and a three-month trial subscription. A new color, Caramel Bronze Pearl, replaces Harvest Gold Metallic on both models and is paired with an Ivory interior. Ruby Red Pearl, previously only available on the Legacy and Tribeca, is now available on the Outback and comes also with an Ivory interior. As with all Subaru vehicles, Symmetrical All-Wheel-Drive is standard on both models, which helps driving performance by enhancing traction regardless of weather conditions. The Legacy for 2011 has a starting price of $19,995 for the 2.5i. The Legacy 2.5i Premium also remains unchanged at $20,995, and the starting price for the Legacy 3.6R holds at $24,995. Limited trim models are subject to a $300 price increase due to the inclusion of XM Satellite Radio. The Legacy 2.5i Limited is now $25,295 while the Legacy 3.6R Limited is $28,295. For the 2011 model year, the Legacy 2.5GT sports sedan will be offered exclusively in Limited trim. It now includes a standard power moonroof as well as XM Satellite Radio, fog lights, new simulated carbon-fiber dashboard trim, silver contrast seat and armrest stitching, and aluminum pedals. It comes with a starting price of $31,395, an increase of only $405, which still keeps it priced well under most competitors' offerings. The Subaru Outback 2.5i now starting at $23,195 and the Outback 2.5i Premium priced at $24,495, still keeping the cost well under most mid-size crossover or wagon competitors. A new feature for Outback models, a Rear Vision Camera, is added to Premium and Limited models - bundled with the Power Moonroof Package. The exclusive Rear Vision Camera includes an Auto-dim mirror with Homelink, compass display and a 3.3 inch hi-resolution display in the mirror. This convenience upgrade adds $450 to any Outback that features a Power Moonroof. The Outback 2.5i Limited, with standard Lineartronic CVT, now starts at $28,495 while the six-cylinder Outback 3.6R is also competitively priced at $28,195. The Subaru Outback 3.6R Limited, which continues to be in high demand, now has a starting price of $31,495 and includes standard XM Satellite Radio.